From the Morgan County Bicentennial Historic Marker, placed here in 2007: The name Apalachee is derived from the Indian Tribe that was part of the Creek Confederation, though there is no evidence that this tribe had ever settled in this area. 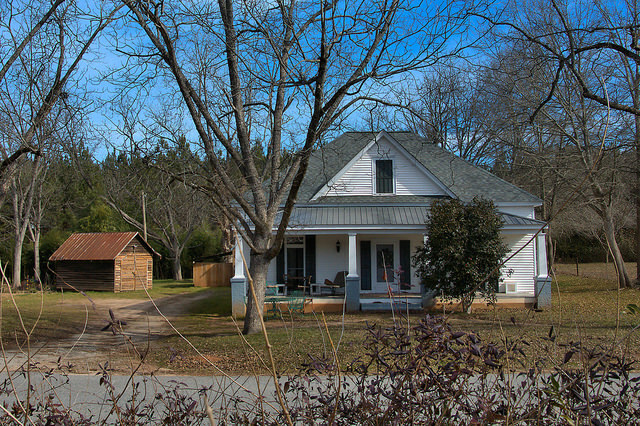 The town of Apalachee was incorporated by the Georgia Legislature in 1907. However, this community has roots that are much older. 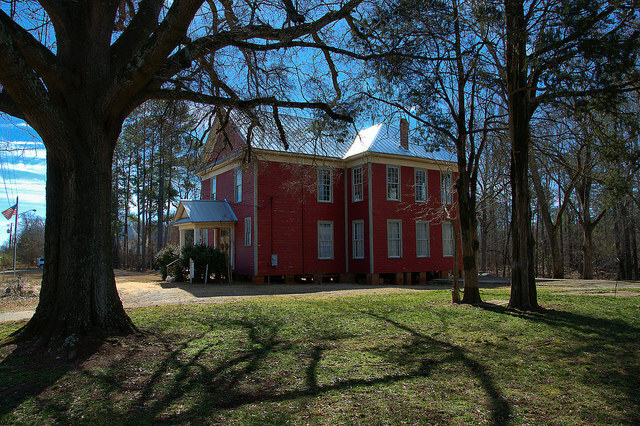 The area around Apalachee was settled prior to 1820 and is considered to be one of the oldest communities in Morgan County. 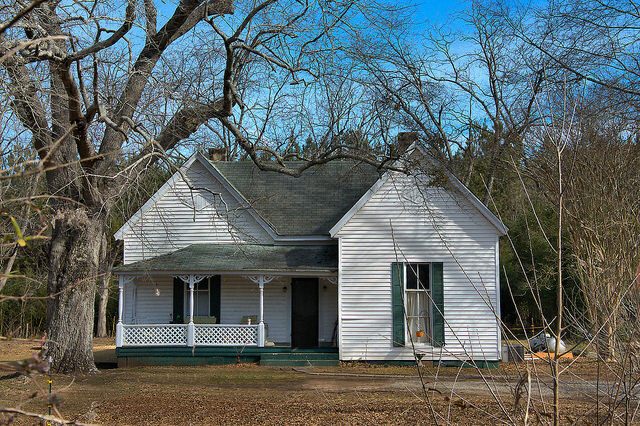 The community of Dogsborough predates the formal incorporation of Apalachee, and was the site of an early post office and dry goods store. Additionally, references to the community of Shields and Hulletto identify their locations in proximity to Apalachee along the railroad. The Apalachee community has also been referred to as Florence. The Central Railroad came through Apalachee, the station was name Florence Depot in honor of local citizen; however, by the time of incorporation, the name “Apalachee” had been chosen. Subsequent references to the post office location, schools, churches and civic organizations identify this area with the name Apalachee. 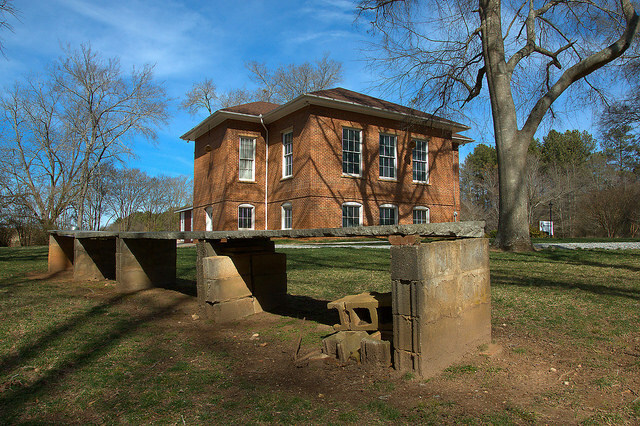 The railroad brought commercial development, including three general merchandise stores, a cotton gin, a cotton oil refinery, and a seed house by 1920. 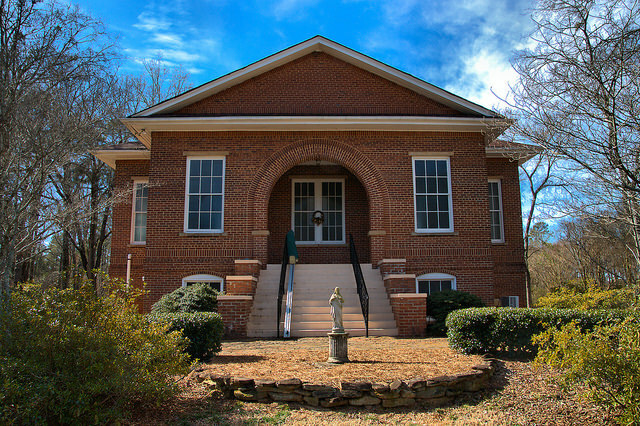 In the early 20th century, Apalachee boasted of several documented cultural societies, including a Glee Club, a Players´ Club (for music), a Literary Club, and the Apalachee Improvement Club, all of which supported the betterment of the town. This congregation dates to the late 1850s, though I haven’t located a date of construction for the church. It appears to be 19th-century. 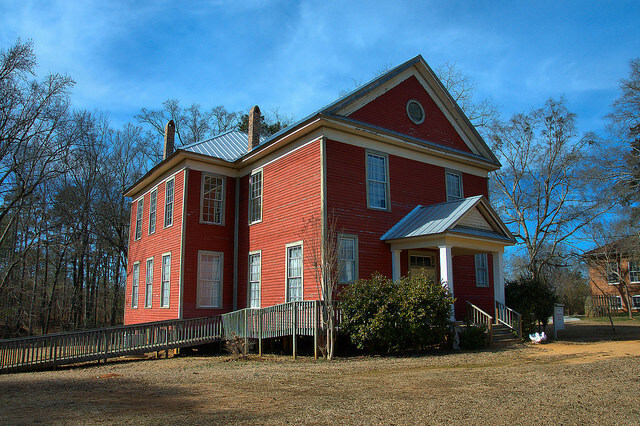 The first Methodists met in a home in Apalachee. They built their first church around 1840 and it was known as Comfort. 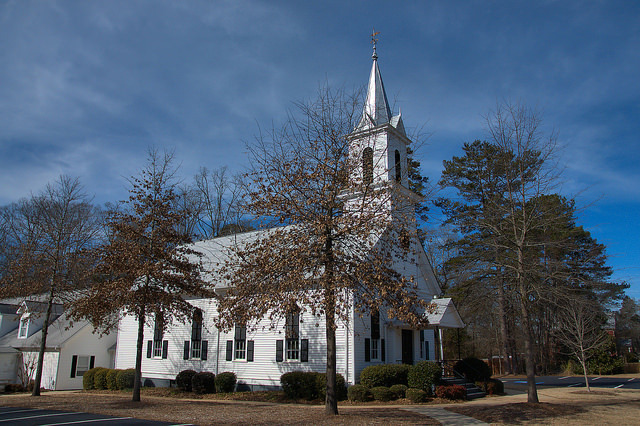 A new structure was completed around 1857 and the congregation changed its name to Philadelphia. I fine wooden church was built in 1903 and served until destroyed by fire on 13 April 1923. The present structure was built in 1925. 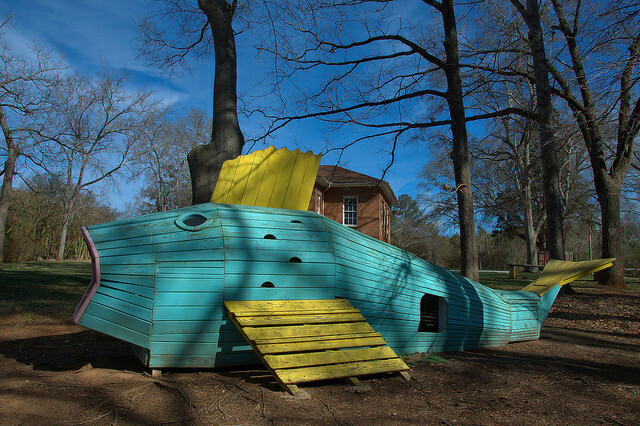 A slab-topped (likely Georgia in origin) table for dinners-on-the-ground is located behind the church, as well as this playhouse which I think is meant to represent Jonah’s whale.